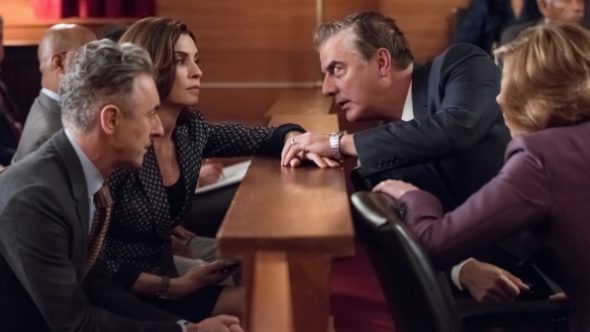 The Good Wife still has some life in it. CBS has already ordered a spin-off series, and according to The Hollywood Reporter, characters from the recently ended legal drama could appear on the network’s new show BrainDead. The political dramedy comes from Good Wife creators Robert and Michelle King. The cast includes Mary Elizabeth Winstead, Aaron Tveit, and Tony Shalhoub. BrainDead premieres tonight, June 13th, at 10 p.m. ET/PT on CBS. What do you think? Are you a fan of The Good Wife? Are you going to watch BrainDead? More about: BrainDead, BrainDead: canceled or renewed?, CBS TV shows: canceled or renewed?, The Good Wife, The Good Wife: canceled or renewed? Great idea! I would love it. What a hoot. Absolutely! I would LOVE to see Diane, Lucca, Carey, etc. !! It would be fantastic! Great idea…..